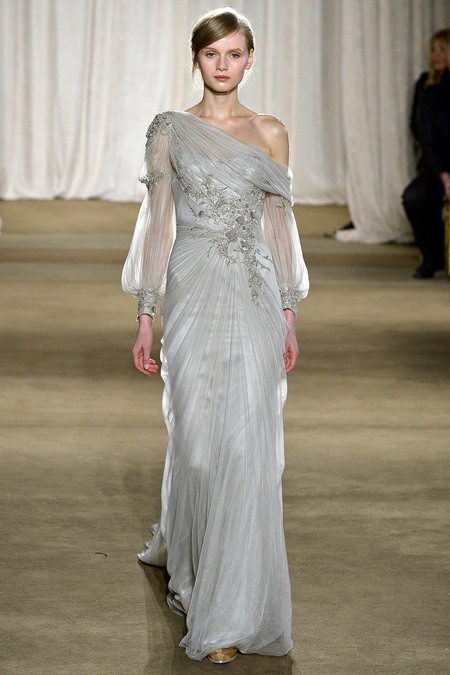 MARCHESA's Fall/Winter 2013 Collection is glamorous and beautiful. Design duo Keren Craig and Georgina Chapman were inspired by a vintage toreador trouser Chapman found. The trousers, their elaborate embroidery and tailoring created the Fall/Winter 2013 Collection.